1. Lamichhane, T., et al. Lack of tRNA-i6A37 modification causes mitochondrial-like metabolic deficiency in S. pombe by limiting activity of cytosolic tRNATyr, not mito-tRNA. 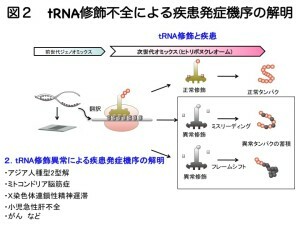 RNA 22, 583-596, 2016. 2. Wei, F.-Y., et al. Cdk5rap1-mediated 2-methylthio modification of mitochondrial tRNAs governs protein translation and contributes to myopathy in mice and humans. Cell Metab. 21, 428-442, 2015. 3. Zhou, B, et al. Identification of a splicing variant that regulates type 2 diabetes risk factor CDKAL1 level by a coding-independent mechanism in human. Hum. Mol. Genet. 23, 4639-4650, 2014. 4. Xie, P., et al. Quantitative PCR measurement of tRNA 2-methylthio modification for assessing type 2 diabetes risk. Clin. Chem. 59, 51-59, 2013. 5. Wei, F.Y., et al. 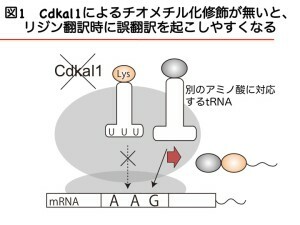 Deficit of tRNALys modification by Cdkal1 causes the development of type 2 diabetes in mice. J. Clin. Invest. 121, 3598-3608, 2011.